Men really are from Mars and women from Venus when it comes to how we learn and think about money, make decisions about it, invest it, and why it’s important to us. Recent research shows that women today feel no more prepared to make wise financial decisions today than they did a decade ago. While 75% of the American women surveyed said having enough money to maintain their lifestyle throughout retirement was very important, only 14% were very confident they will meet that goal. And just 20% said they feel prepared to make smart money moves. Nothing else like The Women’s Financial Alliance exists. The number one goal of our team of experts is to see that you have the knowledge, resources and tools you need to attain confidence and peace of mind with your finances. 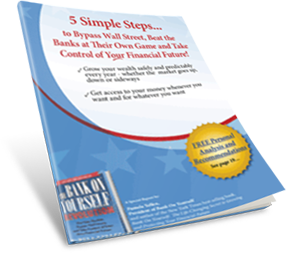 So you won’t have to worry about outliving your money or being a burden on your children. While our new e-letter is focused on women, that doesn’t mean men can’t benefit from the information we’re providing. We welcome men as subscribers (about a quarter of our readers are men), and they tell us they find the information invaluable. But just be warned: Golfing, football, and fishing won’t be part of our agenda. 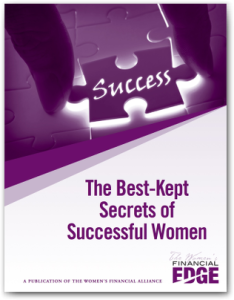 I invite you to join our community, download your free Bonus Report, The Best-Kept Secrets of Successful Women, and see what the excitement is all about for yourself. Just go here to get started.